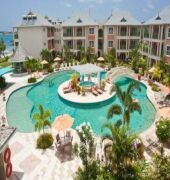 Located in the heart of the pulsating night life of Rodney Bay Village, restaurants, bars, casinos and shopping is a Caribbean 4 Star resort that ensures the ultimate holiday experience. 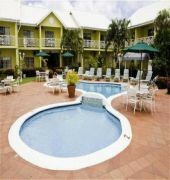 Bay Gardens Beach Resort and Spa in Rodney Bay village is a beautifully landscaped resort on the Famous Reduit Beach near Gros Islet. 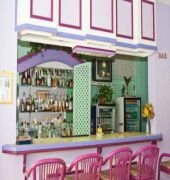 The architecture of the Hotel is reminiscent of its colonial past with a mix of Caribbean-French and Georgian Plantation style incorporating traditional elements of timbered balconies and verandas for that true Caribbean ambiance. 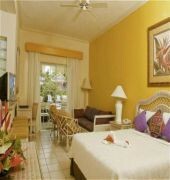 The resort offers a full range of facilities including 2 restaurants- Hi Tide Beachside Restaurant and Trios Caribbean Fusion-, 3 bars- Sand Bar, Pebbles Bar and Red Room Lounge-, La Mer Spa, watersports, scuba diving, tours and conference and banquet facilities. Wedding and Event Planning services are also offered onsite. Check-in is 4pm. Check-out is 11am. The front desk is open 24 hours.